Earwigs, otherwise known as "skin wings" have a pair of pincers on their abdomen, and membranous wings folded underneath short fore-wings. Some groups are tiny parasites on mammals and are found on all continents except Antarctica. Earwigs are mostly nocturnal and often hide during the day in small, moist crevices. They actively feed on insects and plants at night feeding. 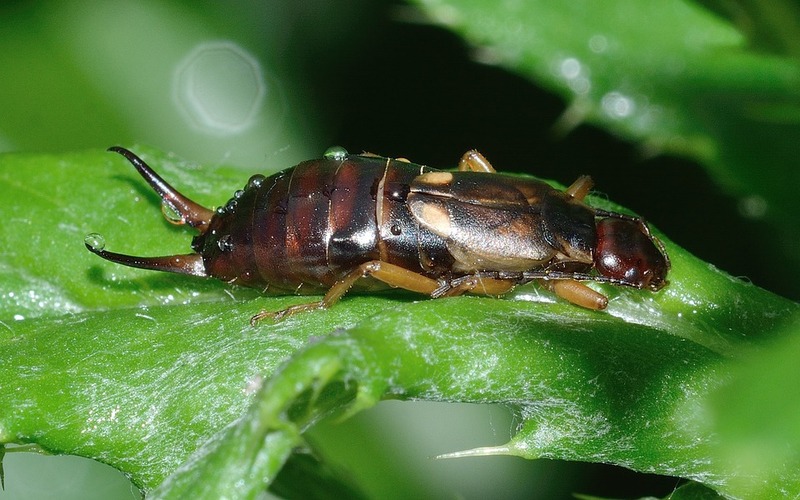 Earwigs are often blamed for damage to flowers, foliage, and crops.